Zombie is probably one of the top 5 greatest choices for costumes. Why? Well, that’s easy. First, it’s a very customizable look. You can go for a full-on rotting ghoul look, complete with fake guts spilling out of our stomach, or you can just put a little pale face paint on your cheeks and call it good. Second, you can mash it up with just about any other costume to become the zombified version of that costume! Mix zombie with a superhero and you have a zombie-superhero. Mix it with a bunny costume and you have a zombie bunny. Finally, it’s totally classic. It’s one of the few costumes that’s stuck around for decades, so you know it’s never going out of style. 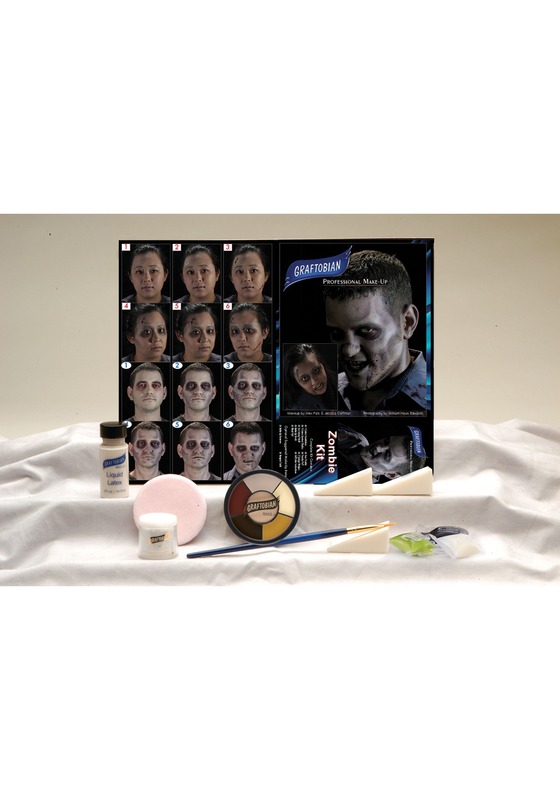 Now, if you plan on being a zombie, you’re going to want a makeup kit that gives you everything you need to get the full zombification experience. 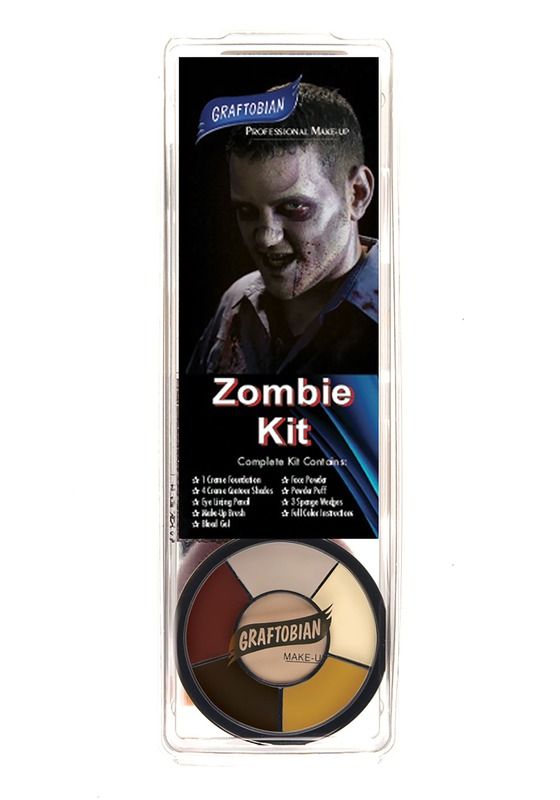 This deluxe zombie makeup kit fits that bill perfectly! This zombie makeup kit comes with a crème foundation and 4 crème contour shades. It also comes with a brush, eye lining pencil, blood gel, face powder, a powder puff, and sponges. It also comes with a set of instructions to help you make the most of the makeup kit. It’s time to zombify your look!